Quantifying the Thermal Properties of Bamboo Composites with the Hot Disk TPS | Thermtest Inc.
Bamboo is an incredibly versatile product that is renewable, eco-friendly, and easy to obtain due to fast growth rates. 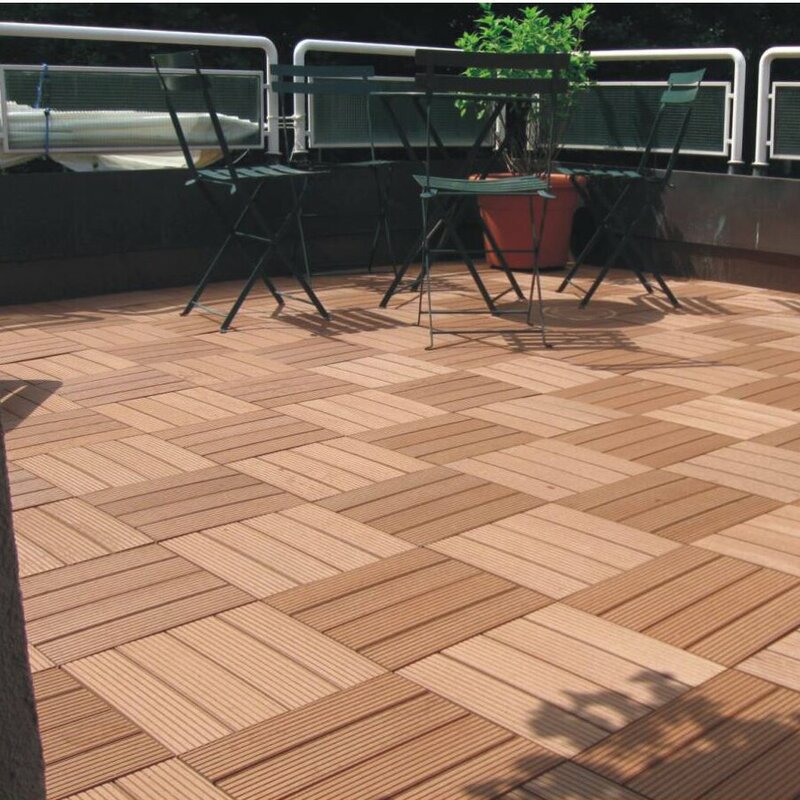 It is increasingly being considered as a possible replacement for wood in construction, especially in developing countries. Much of the bamboo used in construction is in the form of composites, which improve the qualities of the bamboo for construction applications. These composites can be created through many different methods, and the finished products may have coatings applied to them to make them more resistant to weather. Currently, there is a gap in the scientific literature regarding the thermal properties of these bamboo composites and how they relate to the structure of the material. Shah et al. (2015) from the University of Cambridge investigated the thermal properties of bamboo composites using the Hot Disk Transient Plane Source System and determined how they relate to density. Shah et al. (2015) measured the thermal properties of four different bamboo composites; laminated bamboo, bamboo-oriented strand board, laminated bamboo esterilla sheet, and bamboo veneer board (Table 1). Some of the samples came in both coated and uncoated forms. The samples were made of one of two different species of bamboo, Moso and Guadua. Samples were between 10-20 mm thick with a diameter of at least 45 mm. Density was calculated for each of the composite samples (Table 1). Table 1. Characteristics of the four bamboo composites investigated by Shah et al. (2015). Thermal conductivity was measured using the Hot Disk TPS measurement equipment. This system performs absolute measurements of thermal conductivity, and is capable of measuring in a range of 0.005 to 1000 W/mK. The researchers used a 2 mm radius two-sided Hot Disk sensor, which behaves as both the heating element and the temperature sensor during the test. Two pieces of each sample were sandwiched around the sensor to obtain excellent thermal contact (Figure 2). The probing depth achieved by this sensor during the test was 5 mm. Testing was carried out at 20-22°C, with a heating output of 100 mW and a test time of 20 seconds. Repeatability was found to be ~1%. Shah et al. (2015) used the bulk measurement module in the Hot Disk software, however they did confirm that more variation existed between measurements made at different points on the sample than those made in different orientation directions. The Hot Disk TPS is capable of making anisotropic thermal conductivity measurements, an ability which sets it apart from many competing systems. This module could provide valuable insight into the directional properties of the thermal conductivity of a material like bamboo, which has bundles of cellulose microfibrils arranged axially. Figure 2. Diagram of test set-up used by Shah et al. (2015) to measure the thermal conductivity of four different bamboo composites using the Hot Disk TPS thermal conductivity equipment. Density calculations revealed that there were a large range of densities present in the samples (Table 1). Shah et al. (2015) concluded that the species of bamboo (Moso or Guadua) and the manufacturing process used to create the composite had a large influence on the resulting density. Laminate bamboo had the lowest density, while bamboo veneer board had the highest. Guadua products had higher densities than those made of Moso. Manufacturing processes which left a larger percentage of cell wall material in the composite created products with higher densities. Shah et al. (2015) determined that the thermal conductivity of composite bamboo was highly dependent on the density of the sample (Figure 3). Thermal conductivity values obtained with the Hot Disk TPS ranged from 0.20 W/mK to 0.35 W/mK (Figure 3). The researchers were also interested in quantifying the effect that coatings applied to the composite surface had on the thermal conductivity of sample. Laminated bamboo esterilla sheets were obtained uncoated, and with indoor and outdoor treatment coatings (Table 1). Shah et al. (2015) found that the thermal conductivity of the sheets coated with an indoor treatment was 17% lower than that of the uncoated samples, however there was little difference in the values obtained for uncoated and outdoor treated products (Figure 3). Figure 3. Thermal conductivity of four bamboo composite samples obtained by Shah et al. (2015) with the Hot Disk TPS versus density is on the left. A box plot of thermal conductivity values obtained for each composite sample is on the right. Ratios of the median absolute deviation in relation to the median fell between 0.01 and 0.07. After the completion of experimental testing, Shah et al. (2015) used micromechanical modeling to further understand the relationship between thermal conductivity and density and to obtain additional understanding of the material properties. These models worked on the principle that the properties of a composite are determined by the properties of its constituents. In this case, the constituents of the bamboo composite were cell wall material, air, and the polymer matrix. Through this modeling the team was able to predict the thermal conductivity of the composites based on the calculated density. Predictive modeling revealed that thermal conductivity of the composites was 2-2.6 x higher in the longitudinal direction than it was in the transverse direction. This study provides important, relevant information on the thermal properties of bamboo that will be extremely useful to engineers and building designers. It is crucial to understand the heat transport capabilities of construction materials to be able to accurately model how easily a stable thermal environment inside of a building can be achieved. The ability of a building to maintain a relatively stable indoor temperature without excessive heating and cooling lowers its carbon footprint, a key design parameter in today’s eco-conscious world. Shah, D.U., Bock, M.C., Mulligan, H., Ramage, M.H. 2015. Thermal conductivity of engineered bamboo composites. Journal of Materials Science. 1-12.